MJ Home Services has an exceptional group of team members who are well trained and dedicated to the fine work we provide. They are professionals trained in waterproofing, foundation repair, crawl space encapsulation, spray foam insulation, mold, and basement finishing. Whether it is a Leak in your ceiling or Mold in your basement, we do it all! We dedicate a lot of time in training all of our team members to ensure everyone is providing our customers with excellent service and advice for their homes. A basement should be dry all the time. If you have experienced the frustration of flooding in your basement – even once then you probably don’t want to go through that again! We take mold very seriously and so should you! We identify and repair the source of the moisture that is causing mold to grow, and then remove the mold from every affected surface. When your home is being threatened by water damage from flooding or leaks, Our team has expertise to prevent or mitigate the devastating effects water damage can have in order to help preserve and restore your property. We specialize in roof repairs associated with Water Damage in home. Our team is highly trained and goes through step by step what is the best cost efficient way to repair your roof and guarantee no more leaks! They were very fast. Customer service was excellent. They followed up with me throughout the process. Contractor was knowledgeable. I would recommend. I had a fantastic experience with MJ Home Services. They simply got the job done where others had failed. I had two other companies try to fix a problem with my sub basement. MJ found and fixed the problem the first time. Their servicemen were extremely trustworthy. I left them alone at my house without any problems. They were extremely respectful and most importantly got the job done well and expeditiously. Will call them again if anything new happens in my home! Purchased a home that had mold in the basement and also had some damage to a wall that a dog had chewed through. They removed the mold AND treated the HVAC system. The wall repair in the bathroom from the dog was undetectable after the repair. They also fixed a leak from a second floor window that was causing the issue. 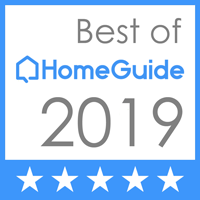 BALTIMORE’S TOP RATED HOME SERVICES COMPANY! MJ Home Services & Flood Restoration has been servicing both residential and commercial customers for more than 10 years. Our professional, high-quality service has allowed us to become the Best Home Services choice for many local residents and business owners.